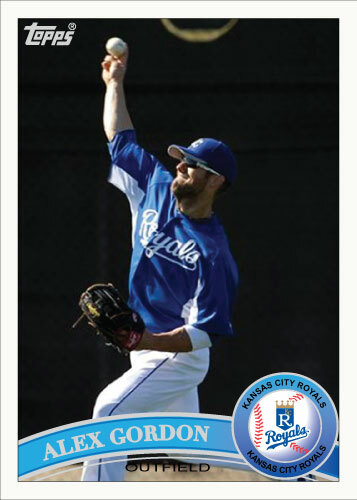 Alright, in my last post I mentioned Alex Gordon’s 2011 Topps card of him playing third base. I have posted a picture of it here along with a version I made of him playing the position listed on the card. The real card is pictured on the right and my custom card is pictured on the left. My card has a picture of Gordon from spring training this year. 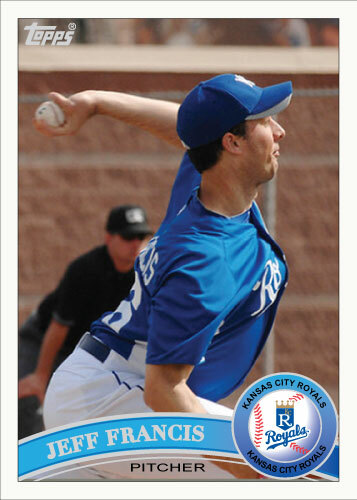 I could get a nice picture from last year but I am thinking of composing an entire set of 2011 Topps Royals cards containing nothing but spring training pictures. At this point I will point out some of the subtle differences between my card and the actual card. Some are quite obvious, the silver foil being the most obvious. Also as a quick list: I made my blues lighter, I put the position in a different color, the baseball behind the logo is different, I have a thin white border around my Royals logo. Alright, those are the big ones, I have reasons for all of these changes that are justified and boring so I won’t go on about it here. Instead I’ll explain how I build the cards briefly. I think I could more closely replicate the actual cards if I used Photoshop. I could edit out the existing picture and keep the look of the original card. The reason I don’t do this is I want every thing to be vector artwork except the actual picture. This means I re-create every nuance of the card. It does give my cards a little more of a 2-D look but I think they are still a very fair representation of the original. 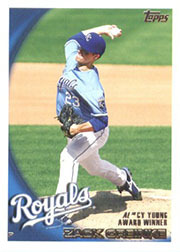 I will try to post a new 2011 Topps Royals card each day until Opening Day, It could become challenging but it should be a nice looking set when I’m done. 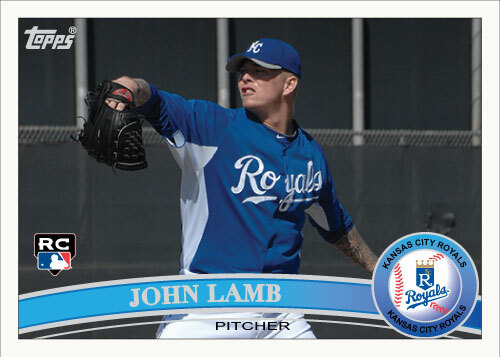 A preview of what John Lamb's 2011 Topps card might look like. Here we go, spring training is upon us and baseball fans are overflowing with excitement. The Royals (and every other team) have reported to camp. This is especially exciting to me because it means pictures for custom cards. The Royals had a lot of turnover on the roster this year plus many of the most notable players haven’t even wore a big league uniform much yet. But now spring training has started and I now have access to pictures of young stars like Mike Montgomery, John Lamb, Eric Hosmer, Mike Moustakas, Alcides Escobar and so on. 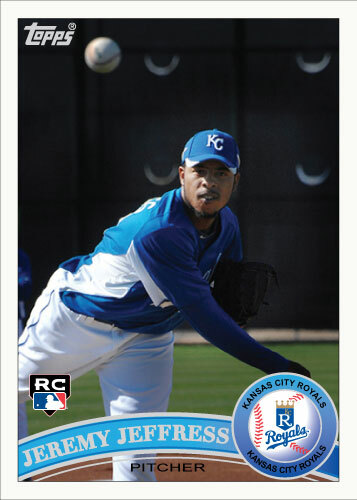 Also, did anyone notice 2011 Topps came out? Not a bad design either. The typical classy white border with a lot of picture, just the way I like it. It has a nice curved bar across the bottom for the name and the team logo in a circle on the right with a baseball behind it. It has a minimal amount of silver foil as is consistent with recent years of Topps. The foil makes the cards look nice but on a personal note makes it very hard to replicate for a jpg on screen for a custom card. Two problems with the 2011 Topps; 1. The circle has “Kansas City Royals” written on top and bottom, this strikes me as overkill and a bad idea just to fill space; 2. The position is written in foil back just by the picture making it hard to read. The second problem is much more cumbersome to me than the first but I digress. photo. I chose John Lamb. Why? Lamb is good for one, but for the most part it was random. I made my landscape card design first, so I needed a landscape picture. I’m planning on making the team set before the rest of it comes out. Series 2 and update should be incredibly exciting for Royals fans this year. 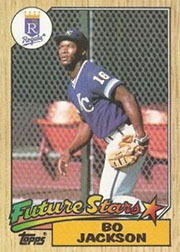 We could have our first official Topps cards of all the young rookies we have heard so much about. Lets quickly go over what Royals are already done. The series 1 Royals set contains 9 cards just like last year. 9 isn’t too bad right? WRONG. 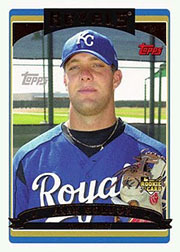 Of the 9 players featured, 4 of them will not wear a Royals uniform in 2011. That is nearly half of the Series 1 set. The players featured that are now gone are: Greinkie(Brewers) Betancourt(Brewers) Dejesus(Athletics) and Meche(Retired.) 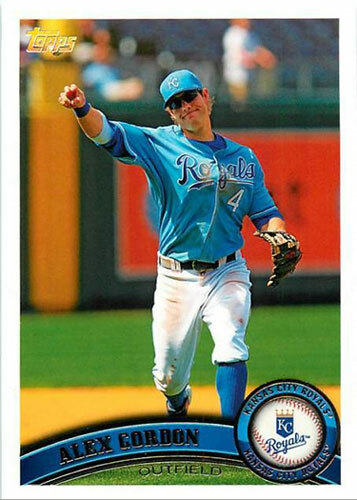 There are 5 current Royals featured as well, they are: Lucas May(Rookie Card), Gregor Blanco, Mike Aviles, Kyle Davies and Alex Gordon. Minor complaint: Gordon is listed as Outfield as he should be but the picture is clearly of him making a throw from third base. This is almost as bad as when they kept using pictures of him wearing number 7 after he had switched to number 4, but I once again digress. A note on the Lamb card; The picture doesn’t fit. The ball he is throwing is obscured by the Royals logo, not horrible but it bothers me. I may change his card later. 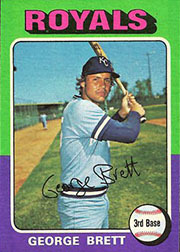 Technically, I believe Topps can’t even make this card yet, he has to appear in a Major League game first. Consider this a preview. 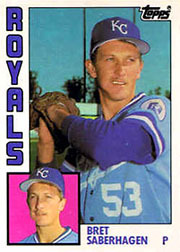 Also a quick thanks to Around The Horn KC blog for the photo, I hope they don’t mind me using it. They are a great blog and every Royals fan should definitely check it out. This will be the first installment of likely several custom greatest hits tracklistings I make available on this site. 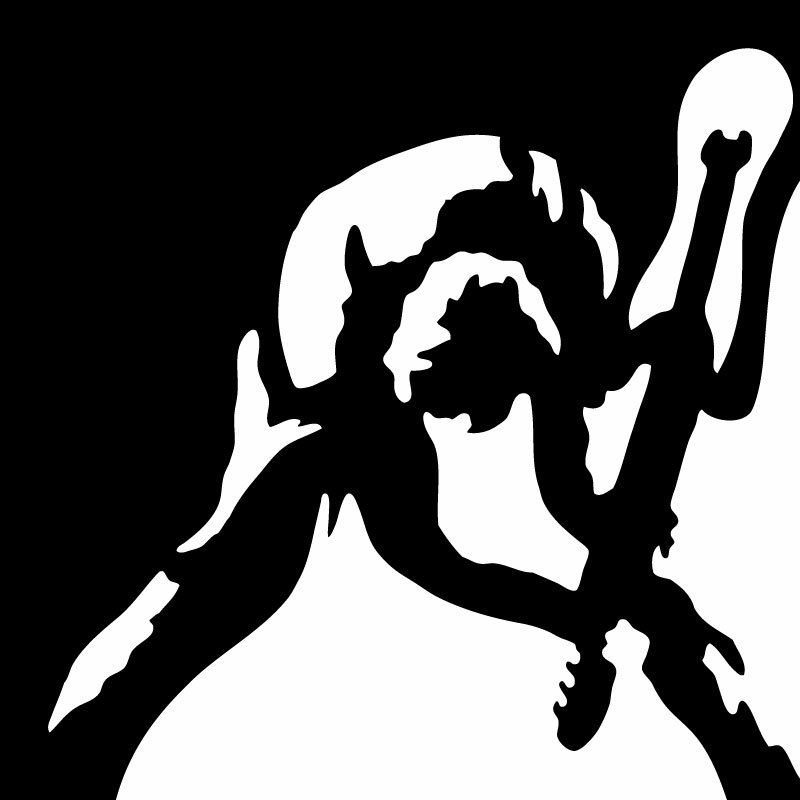 Many bands have greatest hits or best of albums but many bands don’t for different reasons. Most reasons involve a record label. Some bands that have best of packages are flawed for one reason or another. Examples of this are the tracklist isn’t updated or they just plain did a bad job picking songs. I like making these “Best of” packages for my car, as I’m sure many people do. Because of this, all my tracklists should fit onto a regular blank cd if anybody is interested in making one of their own. The term “Best of” works much better than “Greatest Hits” for these collections I feel. Many of the bands I will do this for don’t really have hits anyway. Hits are for Lady GaGa, I’m interested in good music. For my first collection I have chosen the Decemberists. Why? They just released a new album; I am currently liking the album quite a bit; They have never had a best of collection. So here is the tracklisting for the album. I chose to do this in chronological order, most times I don’t do this but for this album I felt it was appropriate. I only took one song from their first two records. I know this will likely enrage longtime Decemberists fans who think those first records are the best things they have ever recorded. The bottom line: they aren’t, their new stuff is much better. FYI, the last cuts I made were: The Hazards of Love 1, Billy Liar, Valarie Plame and Shankhill Butchers. The Old 97’s swung through Lawrence, KS last weekend and put on another classic show. I have seen the band live three times now and every time I am shocked at the enthusiasm the band displays. They are four of the nicest musicians I have ever had the pleasure of meeting. It is rare to see a band that looks genuinely happy to be performing in a club with about a hundred or so people. The Old 97’s are that band, not only that but after the show they all made themselves very accessible to the fans. They were supporting their very strong new album, The Grand Theater Vol. 1. They hit it rather hard, playing 9 of the 12 tracks from the album. It was a sold out show and the band didn’t disappoint mixing in several old songs with the new album while blasting through a 26 song set. As I mentioned, the band was very approachable and I was able to get the spread on the inside of their new cd autographed by all four members of the band. So I’d like to thank Rhett Miller, Murray Hammond, Ken Bethea and Philip Peeples for coming through on the tour and I can’t wait for the next time. The Old 97's The Grand Theater Vol. 1 cd inside spread autographed with a nice silver sharpie by (from left to right) Ken Bethea, Rhett Miller, Philip Peeples and Murray Hammond.